Many of you have been developing a new love for your Electric Quilt program -- and are probably ready to share your newly designed quilt with the world. Or at least your Facebook friends. Or maybe you want to share a rotary cutting chart with a friend. My video tutorial today is all about sharing. However, please make sure that you aren't infringing on anyone else's copyright when doing so. ​What is your favorite way to share your Electric Quilt projects? Are you ready to get back to working on you own quilt education? Check out these Electric Quilt options designed for you. Learn the basics of the program. These classes are live (via the internet) and are limited to 8 participants. This allows participants to ask questions while I am demonstrating and even share their screen to allow me to see their work and personally advise them. Also participants receive videos of the class sessions plus detailed handouts supporting material covered during the classes. Learn more. New class starts on September 11th -- only 2 seats remain. Price $99. Register now. ​Video only option also available. Price: $69 Purchase here. The blocks in this live interactive class will be those based on special grids – including those based on circles, octagons, Kaleidoscopes, eight pointed stars and hexagons. Layout options will also be provided for many of these blocks. Level: Intermediate. New class starts on September 12th -- only 1 seat remains. Price $99 Register now. 30 separate video lessons will be e-mailed to you over six weeks (one lesson a day, Monday-Friday). Learn more here. In talking to people in my classes and online, one thing I hear is "I haven't really learned how to use my EQ software". Or a variation on the theme -- "I haven't used my software in (insert number) of months (or even years)". or -- "I've tried the software, but it wasn't intuitive". Sun and Moon - In a few days many in our country will experience a solar eclipse (where the moon blocks the sun for a short period of time). I know of a number of people hoping to observe this event -- but I can say "been there, done that". Back in 1979, while still living in North Dakota a solar eclipse was visible in our town. I remember laughing with my father because Minot officials had decided to turn on the street lights during the "dark" period. I think I will miss this one, but there is always 2023 when the next solar eclipse is expected to pass through the US. Stars - This weeks blog post is about Stars (since they are visible in the sky with the sun and the moon). Read more below on creating Fancy Star blocks in Electric Quilt from our Dressed Up Half Square triangles. Introductory price of $50 available through August 21, 2017. Would you like to draft your own quilt blocks? Have you been frustrated with you skills in drafting blocks? Maybe the lines weren't "quite straight" or you couldn't figure out how to set up the "right" grid to draft your block. Or did you have to guess about what snapping options to use? Or maybe you found the “perfect” block online. But then realized you wanted to piece it a different way. Maybe you want rotary cutting instructions or a foundation pattern. Or maybe you want a different size to incorporate into a different quilt. With Electric Quilt you can redraft these blocks. This class will focus on how to “read a block” and then come up with the most efficient way to draft it with Electric Quilt. The blocks in this class are those that can be done in a “grid” format – basically just like drawing with a pencil and graph paper. Within Electric Quilt these blocks are drafted within Easy Draw. 30 separate video lessons emailed over six weeks (one lesson a day, Monday-Friday). Instructions for drafting over 30 blocks in the Easy Draw section of Electric Quilt. Access to videos demonstrating the drafting of each block for up to 12 months after purchase. Written instructions to supplement the videos. Access to a Private Facebook group only for those in the Easy Peasy Easy Draw class. This will be a chance to ask questions and share photos of your work from the class. This summer I have been presenting a Electric Quilt series on my blog entitled Dressed Up Half Square Triangles. This week we are going to explore using the Fancy Star feature within Serendipity. We will be using the original blocks developed in Session 1 for the Fancy Stars. The fabrics in these blocks are from Timeless Treasures Tonga Mystical collection by Wing and a Prayer Design. Pattern on sale this week only for $8. The poem in the quilt was written by George Cooper, an American poet who lived from 1838 – 1927. ​The large wall hanging finishes to 33” x 33", while the small one finishes 15” x 12”. To make construction easier, many sections in the quilt use over-sized piecing along with specialty rulers. If you cannot find the specialty rulers, instructions are provided for use of traditional rulers. In my T Shirt and Panel Quilt class, students learned how to resize their T Shirt and Panel images so they could be used in designing a quilt. For today's free Electric Quilt video tutorial I thought I would take a panel and apply some simple borders that will highlight the panel. This design would be super simple to adjust for many different sized panels. This quilt or a variation using your own favorite panel, would make a great Christmas gift. The fabrics in this project were part of Timeless Treasures Country Holiday collection. If you are interested in my mini-class in working with T Shirts and Panels in Electric Quilt, you can purchase a video download of the 1-1/2 hour class here. Or you could also purchase the entire T Shirt and Panel Quilt series. ​Easy Peasy Easy Draw: For those that love the 10 minute a day format, and learn best with small bursts of training. Learn more. Similar in format to Catch the Waves, this 6 week class provides daily videos which provide instruction for drafting 30 plus blocks. Introduction to Electric Quilt 7: A much deeper dive into learning the basics of the program. These classes are live (via the internet) and are limited to 8 participants. This allows participants to ask questions while I am demonstrating and even share their screen to allow me to see their work and personally advise them. Also participants receive videos of the class sessions plus detailed handouts supporting material covered during the classes. The blocks in this instructor led online interactive class will be those based on special grids – including those based on circles, octagons, Kaleidoscopes, eight pointed stars and hexagons. ​Layout options will also be provided for many of these blocks. Level: Intermediate. Learn more. On sale this week for $8. Learn more about Zoom in Electric Quilt below. First I would like to cover some updates and new class information. We are approaching the end of the first wave of participants in Catch the Waves. When I originally offered the program I expected 200-300 sign-ups. As I write this we are close to hitting the 2,000 mark. I have been so appreciative of the feedback and reports of successes by participants in the program. This obviously is a training style the resonates with Electric Quilt owners. Would you like to join the fun? You may enroll in this free two week training at any time. The first video will be sent the day after you enroll with additional videos sent each day thereafter. Read more and enroll here. 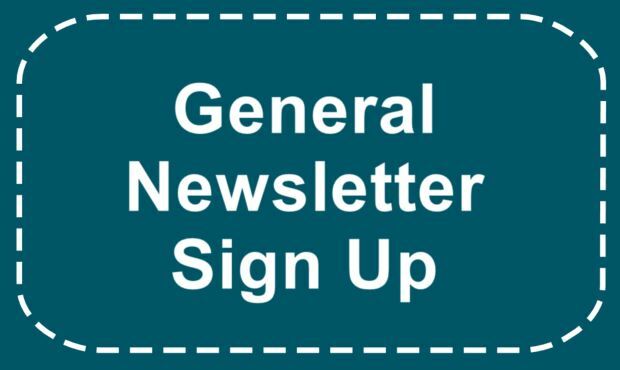 I have noticed that some people signed up for my newsletter thinking they were also enrolling in Catch the Waves. Catch the Waves is a separate program offered by me. So if you aren't getting the emails (but thought you signed up), please enroll here. If it says you are already enrolled, check your spam, junk (or promotional) folders. Still no luck, send me a note so I can help investigate. Easy Peasy Easy Draw: For those that love the 10 minute a day format, and learn best with small bursts of training. Learn more. Introduction to Electric Quilt 7: A much deeper dive into learning the basics of the program. These classes are live (via the internet) and are limited to 8 participants. This allows participants to ask questions while I am demonstrating and even share their screen to allow me to see their work and personally advise them. Also participants receive videos of the class sessions plus detailed handouts supporting material covered during the classes. Learn more. Pieced Patch Draw: The blocks in this class will be those based on special grids – including those based on circles, octagons, Kaleidoscopes, eight pointed stars and hexagons. Layout options will also be provided for many of these blocks. Level: Intermediate. Learn more. I am current working hard at my next 10 minute a day offering. Now that many of you have been introduced to Easy Draw -- are you ready to expand your proficiency? This will be a 6 week class with over 30 videos. There will also be a few changes based on what I have learned through administering Catch the Waves. A number of participants in Catch the Waves reporting struggling with the zoom tools within Electric Quilt. Zooming in and out appears to be a function that works quite differently from computer program to computer program. In this video tutorial I will share with you how these tools work in Electric Quilt. ​Do you like gazing at twinkling stars on a clear night? You can now put those stars on your bed. The asymmetrical star used in the sashing will make it appear that the stars are dancing across the quilt. Quilt may be completed with seven fabrics or may be scrapped using fat quarters.